With double-action soothing, conferred by Toleridine Complex and Rhamnose, immediately relieves the sensation of heat and redness, returning to the skin, a natural luminosity. Indicated on the exacerbation of rosacea or post dermatological treatments, this calming, soothe and moisturize sensitive skin and actively intolerant or redness. Possess antioxidant action, yet, due to Mannitol. 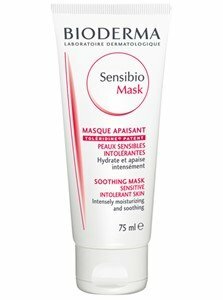 The Sensibio Mask, confers long-lasting comfort, and restores the skin barrier, preventing the penetration of irritants. Formulated with active ingredients carefully selected for their tolerance, without preservatives and fragrance-free, this ensures an optimal tolerance, including the eye contour area. Sensibio line is formulated with patented Toléridine® complex that acts immediately and permanently against inflammation, increasing skin tolerance. Without perfume. Without preservatives. Hypoallergenic.